Summary: This lovely family friendly walk is started and finished in divine woodland with memorable waterfalls at the beginning and the end. 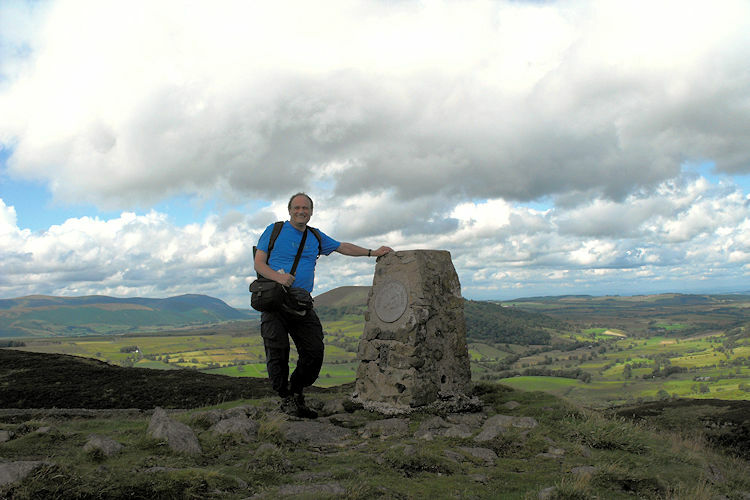 In the middle is an open fell walk with wonderful views. 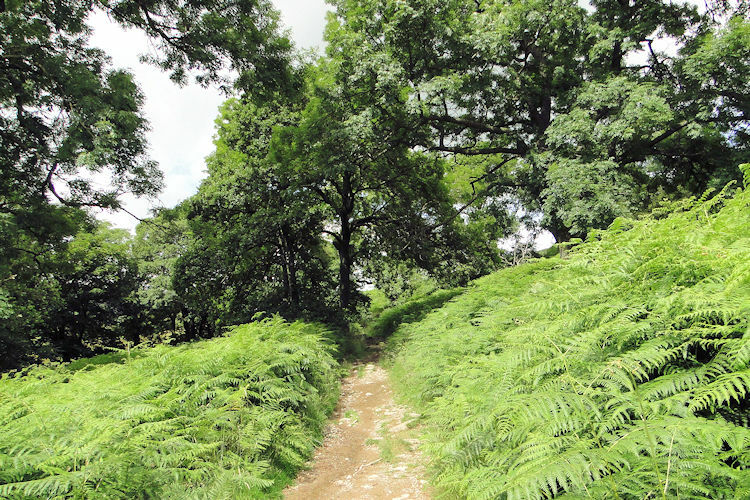 Gowbarrow Fell is superb, a surprising joy to ascend. 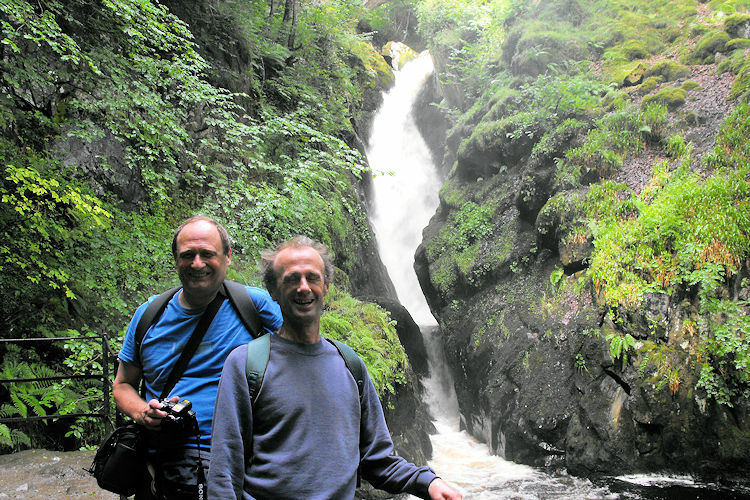 The merits of High Force and Aira Force need no explanation. Dave and I drove over to the Lake District from Harrogate in anticipation of five great days of walking. In the evening Steve was meeting us for the first walking holiday since he emigrated to New Zealand 18 months ago. His son in law Chris who had walked with us a few times was coming too. It was going to be a great holiday for sure. 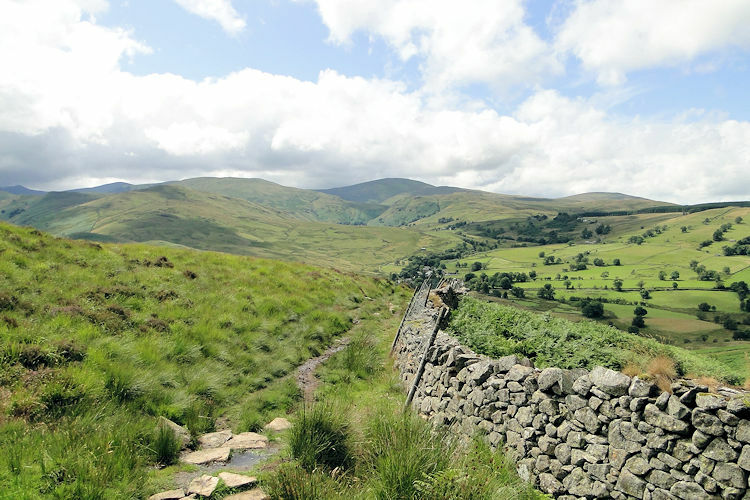 Others would join us but for now Dave and I wanted to get a good half day walk under our belts and this one looked just the ticket, a warm up of four miles with an honest bit of climbing up to one of Wainwright's less lofty fells but one in which he promised us great views. 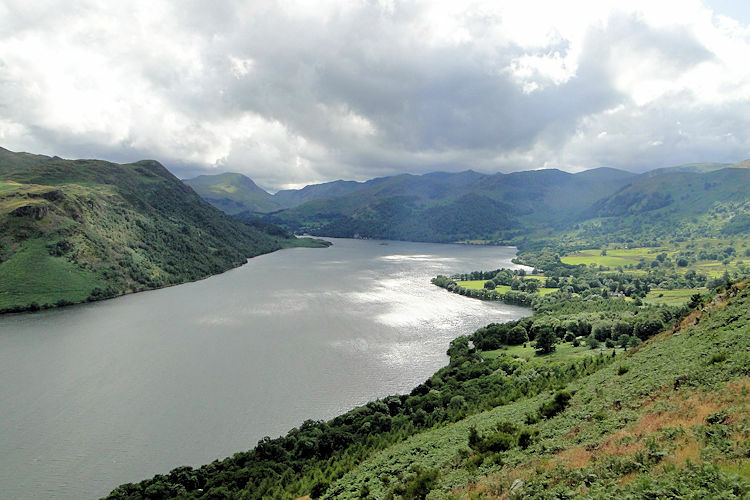 The weather was fair but unpredictable in the erratic summer of 2009, it rained a little during our car journey over the A66 on Bowes Moor and was still drizzling as we arrived at the National Trust car park on the bank of Ullswater to start our walk. While the rain passed over we went to the cafe for a coffee and a bun. While refreshing ourselves the rain stopped heralding the start of our walk. So off we went. 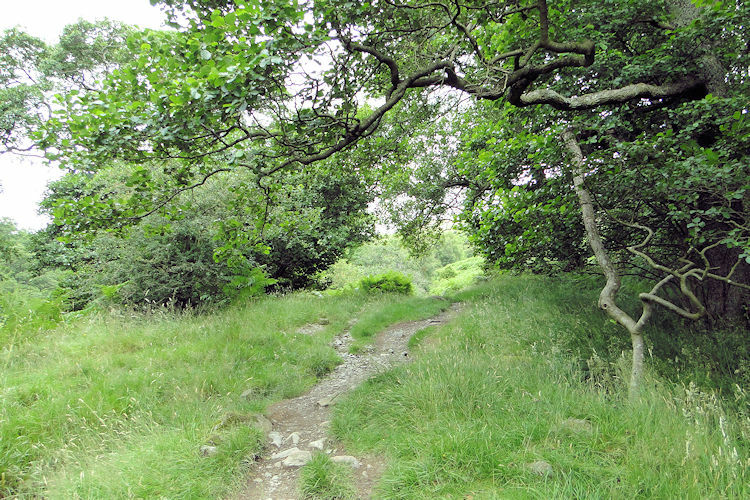 We set off from the car park and followed the path beyond the National Trust Information Centre walking due north into the woodland. Due to the close proximity of Aira Force there are nearly always people around heading to the waterfall but I wanted to save Aira Force for the finale so Dave and I headed across a wooden footbridge and kept right when the paths forked to follow a higher route through the woodland which kept us on course for High Force waterfall. 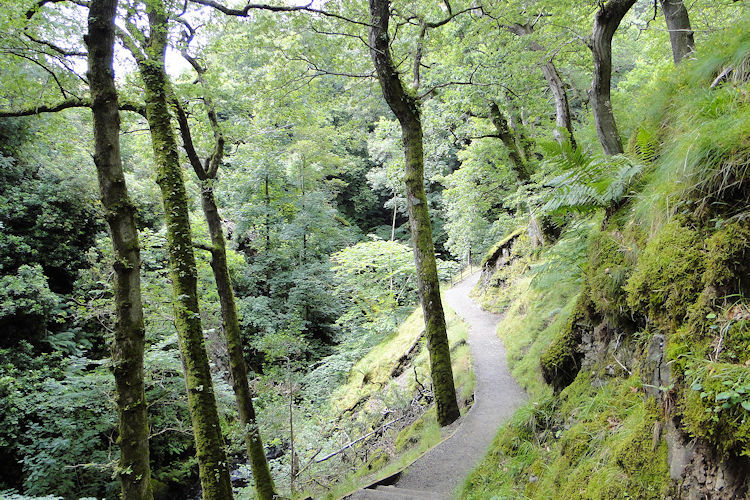 The delightful woodland journey got quieter as we got higher, most folk were seeking out Aira Force and nothing more. 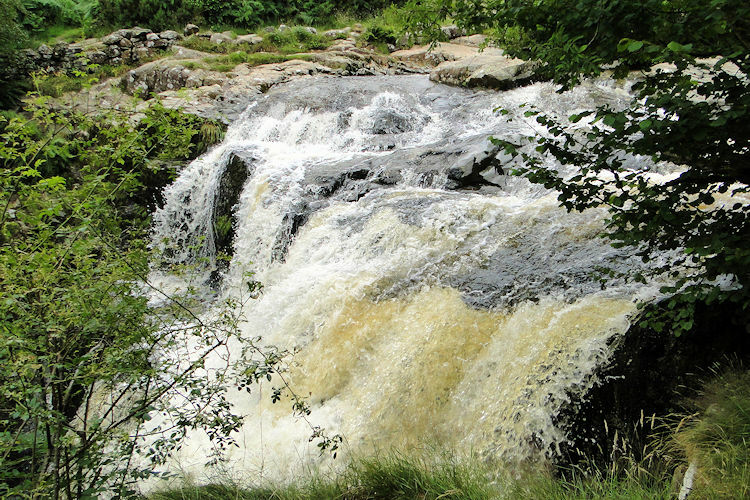 It was their loss for Dave and I found that High Force was impressive on our arrival, the gushing water of Riddings Beck powerfully roaring over the waterfall after the recent spell of rainfall. After watching the water cascade over High Force we continued on thorough the woodland and up to a gate and into a field. We immediately noticed the height of the days ambitions; Gowbarrow Fell was above us to our right. As we had entered the field we had noticed a young couple ahead of us who we soon caught up. They asked us if there was a path down to the left which would take them to Dockray and then back to the car park. Indeed there was a path to Dockray but they would then have to follow a tarmac road all the way back to the start. They did not seem keen on that option so we told them our plan to climb Gowbarrow Fell and then return to the car park by the eastern side and then southern side of the fell. They decided to do the same. We had just met new walking companions for the remainder of the walk, Mark and Natalie from Fife. Shortly along the field we bore right and over a fence which took us on a direct beeline upwards to the fell top. Being the first walk of the break this short stint uphill was tough and we all took regular breaks. The breaks were made most enjoyable by the incredible views unfolding as we climbed. The Patterdale area of Ullswater was opening out for us in the south and Blencathra was showing all its majesty in the north. 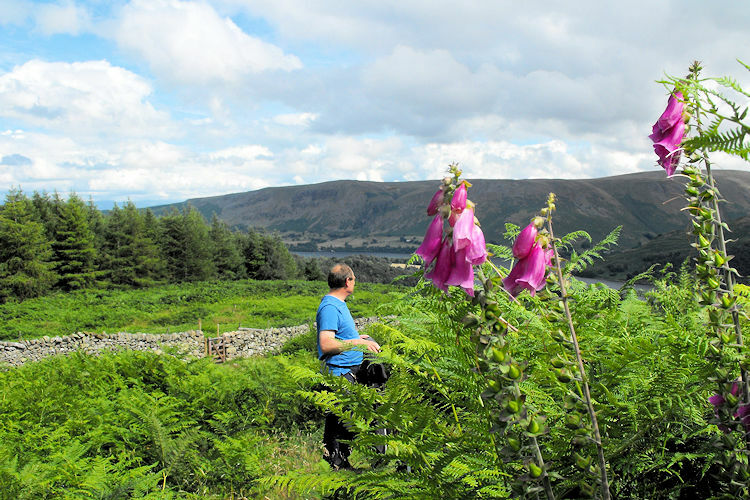 The picturesque moments certainly helped us ascend Gowbarrow Fell without purgatory and on reaching the trig point we all took a welcome lunch break. The sun even shone on us. During lunch I contemplated the walk so far which had already been enjoyable but I was blissfully unaware that there was a real spectacle to come. Of Gowbarrow Fell Wainwright had said in his pictorial guide "flowers, heather and bilberries bloom on the pleasant little ridge where stands the summit cairn" He was quite right, it was a serene spot. Anyway, back to our walk and after our food break we left the summit and headed east to where was indicated a shooting lodge. 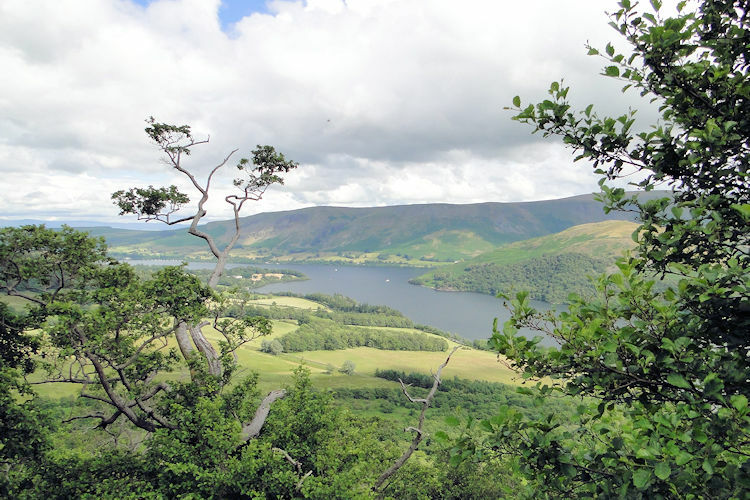 We could not find it but we did find the path which we followed south first to Collier Hagg where there were some small rock outcrops and unfolding views of the northern end of Ullswater and then on to Memorial Seat where the magic of Ullswater opened out in all its splendour. We could clearly see the northern end near Pooley Bridge, the outcrop of Hallin Fell and almost round to the southern end at Patterdale, the great Ullswater clear to see, it was a magnificent moment for us all and we stayed a while to take it all in. Sun broke through the clouds intermittently to provide us with a moving picture. Truly wonderful.